Jimmy Page on BBC1 in 1957. When asked by host Huw Wheldon what he wanted to do after schooling, Page says, “I want to do biological research [to find a cure for] cancer, if it isn’t discovered by then”. Instead he went on to form one of the world’s greatest rock bands, Led Zeppelin. Led Zeppelin in 1969. 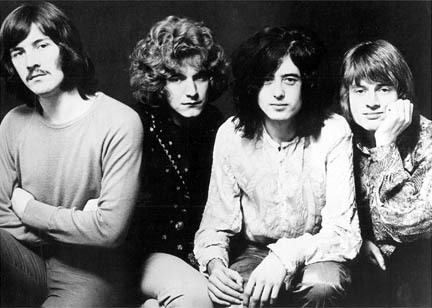 From left to right: John Bonham, Robert Plant, Jimmy Page, John Paul Jones.